Share the beauty of music with your community with the right music-themed publicity. 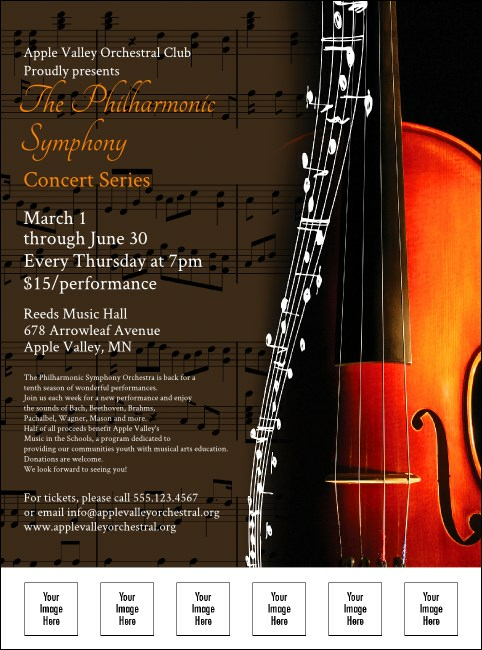 This Flyer, which matches the rest of our Symphony Event Kit, features a sleek violin, notes soaring up to the sky, and a sheet music background. Upload six of your own images to customize this template with head shots or sponsor logos. Fast delivery The right TicketPrinting.com Flyer can sing to the world.